1. 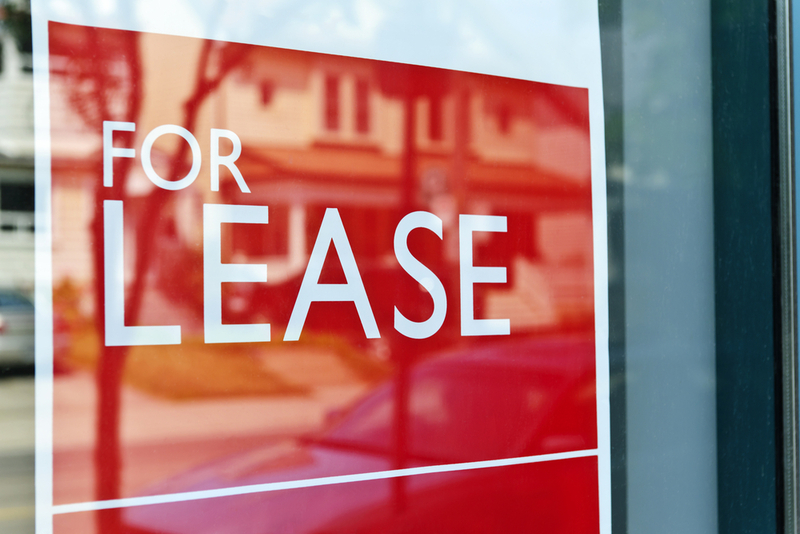 Give tenants plenty of notice: The end of a lease may be stressful for you as a landlord, but it is often more stressful for your tenant. You have to worry about finding a new tenant while they need to find a place to live. Between work, family and looking for new living arrangements, the last thing on their minds is what they need to do for the end of their lease. It is up to you to give them plenty of notice of what they need to do. Anytime from 60 days to lease end you can start with a general reminder email. It is important to send an email or text to confirm all communication so there are no disputes. Start with the obvious and make them aware that the end of the lease is approaching. From there, you should give them an outline of what is expected on their end. Everything from the condition of the property to the time they have to be out should be detailed in your email. The more information you can provide early on should alleviate any confusion as you get closer to their lease end. You should make a point to send a reminder email again every week or so until the end of the lease. Even if you don’t talk on the phone you should reach out to them and confirm that they got your messages. There should be no frantic phone calls from your tenant a week before they move out. 2. Walk through slowly: Your goal for keeping a security deposit is to protect yourself from property damage or eviction. In a perfect world, you will never have to keep a dime of that money. However, there are times when your tenant leaves you no choice. Sometimes the property damage will be as obvious as a hole in the closet door, but other times you may need to find it. It is important that you take your time inspecting the property after your tenant moves out. As much as you want to get a new tenant in, you should give yourself at least a day or two to inspect the property, get it cleaned and make any repairs. As a landlord, you need to account for normal wear and tear when you do your inspections. Instead of looking at scuffs on the couch or on the floor, you need to look at big ticket items. Washing machines, refrigerators, toilets and showers are all items that are often overlooked. It is up to you to take your time and test everything out. Your tenant can be present at the walk-through, but let them know it won’t be quick. Bring a camera or phone that has video recording capabilities and record anything in the house that you have issue with. If there is a dispute, you want to have as much documentation as possible. The final walk through is your last chance to dispute property damage. Take your time and do it at your own pace. 3. Use real numbers: If there are items that you need to repair or replace, it is important that you get estimates for the work. Instead of just using ball park numbers, you need to get real figures from local contractors. Doing this validates you using the security deposit money. If you don’t have an itemized breakdown of all repairs, you run the risk of getting into an unnecessary argument. Also, you could end up shorting yourself money if you make numbers up on the fly and they turn out to be much higher than you thought. You should always give your tenants a chance to do the work you need done or to find a better price. Time will be of the essence but you should give them the opportunity. If you use real numbers by real people you can expedite the process. 4. Bring supporting documentation: The best way to make for an easy end of lease is to put work in at the beginning. This means taking photos and videos of the property on move in day to verify the condition. You should send them everything you have on the property the day they move in. This way there should be no arguments as to the condition of the property. When they move out you can send them before and after documentation to confirm your position. The more documentation you have the easier it is to keep the process moving along. Handling the end of a lease is about organization and efficiency. If there are disputes, you can get past them by having documents ready and estimates lined up. The quicker you can get a tenant out, the quicker you can get a new one in. The more organized you are, the smoother the process will become.